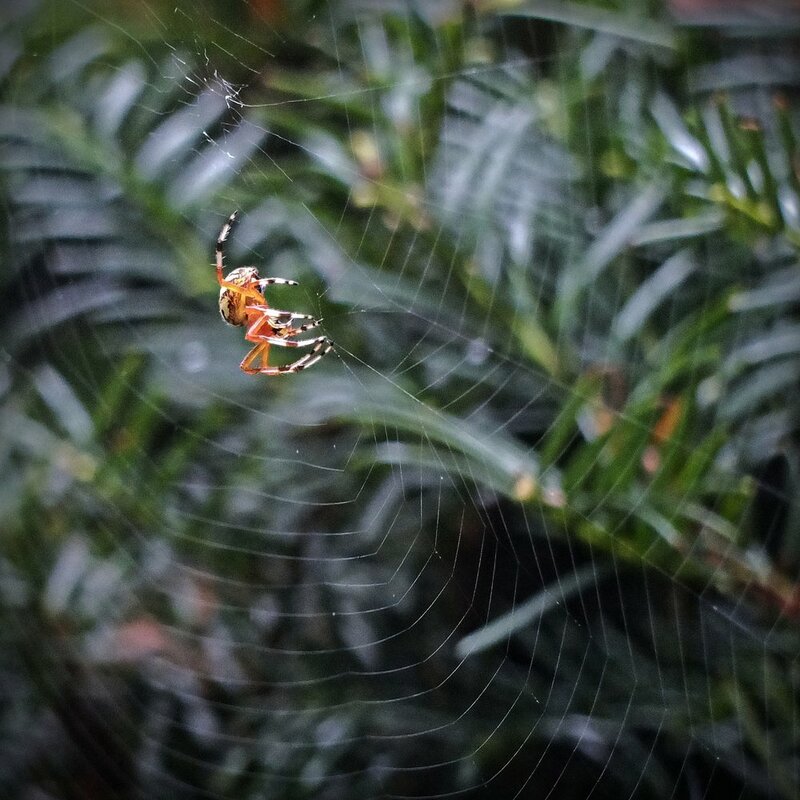 October 2, 2016 Geren W. Mortensen, Jr.
Meet the Marbled Orb Weaver. 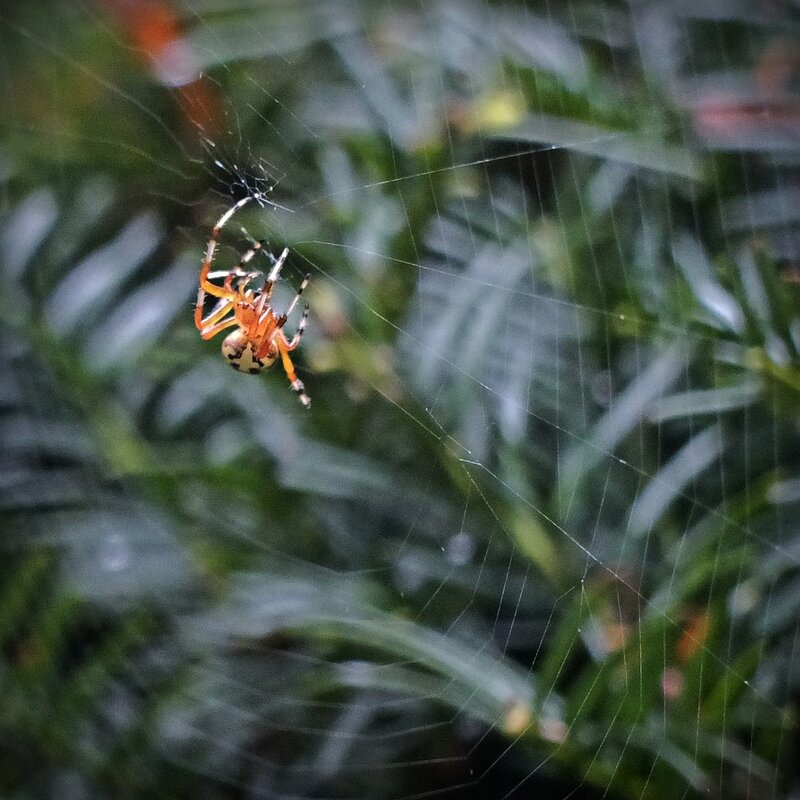 I was carrying some things out to the car to take to Goodwill this afternoon, and spied this little lady working her web on one of our bushes. She patiently waited while I went back in to pick up a camera, and then struck a few poses (Vogue!) 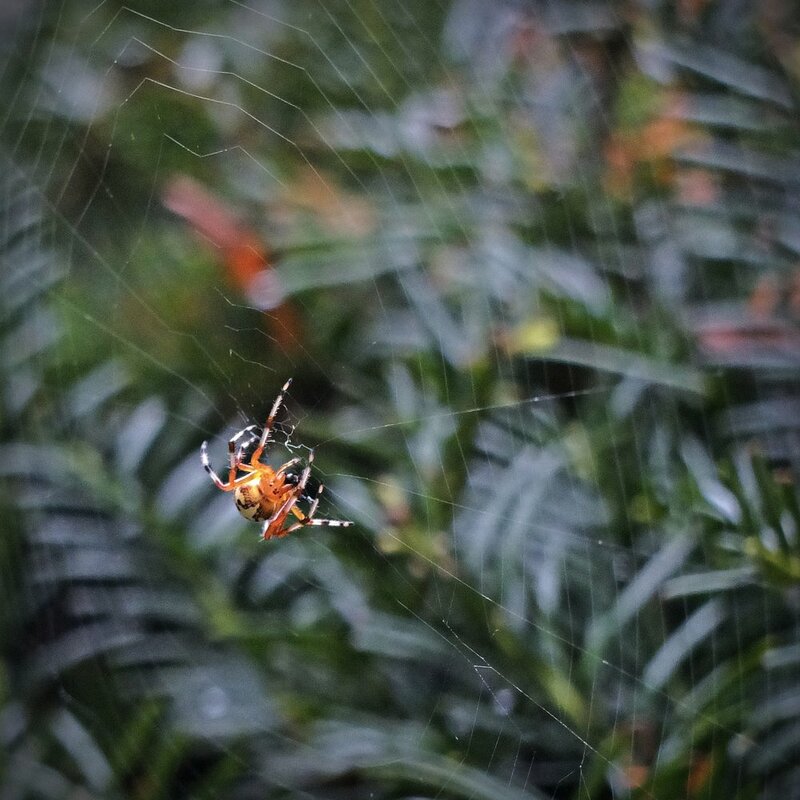 for me, before becoming more interested in a bug that flew into her web. All images take with my Fujifilm X10, manual focus, shutter priority and auto ISO (limited to 1600 maximum) to maintain 1/1000sec shutter speed and a fairly wide aperture. Minimal post processing in On1 Photo 10 Pro.